Most public power utilities do not have adequate staffing/availability to address day-to-day load management and operational requirements. GDS provides on-the-ground expertise to perform required RTO forecasting and scheduling services each day to optimize our clients’ daily loads and resource schedules. Through its partnership with OATi, GDS also provides clients with real-time access and transparency of scheduling data, corresponding RTO settlement reports, access to any desired market data and streamlined billing dispute processes. RTO Settlement Services: Detailed assistance in understanding RTO costs and tracking these costs. Client and consultant have access to RTO settlements and shadow settlement projections via OATi webTrader® platform. Scheduling Services: Day-ahead load forecasts (load/generation), prepare demand response bids and coordinate the schedule for market power resources and other basic generation configurations. Client and consultant have access to scheduling tool to view daily demand response bids and resource supply contracts via OATI webTrader® platform. As RTOs continue to develop and expand, the market landscape is being reshaped almost continuously. It is critical that clients be involved in and understand the implications of the policy and process development activities, and attempt to develop rules that meet their business needs. GDS provides representation and analysis of various RTO development activities for our clients in multiple jurisdictions. Once the regulatory dust has settled and clients are functioning in the new environment, two questions remain: Did you get the service you wanted and did you get charged appropriately for the service received? GDS works with its clients to ensure you receive accurate billing and settlement information from your transmission service providers and/or RTOs. 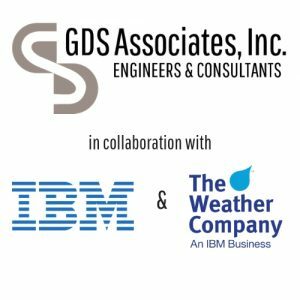 GDS Associates, in collaboration with IBM/ The Weather Company, provide more accurate load forecasting and scheduling. Using hyperlocal weather data, along with traditional airport measurements, we have access to full spectrum data allowing for better algorithms and more accurate forecast. GDS optimizes the balance of market exposure between the Day-Ahead and Real-Time market in its day-to-day operational assistance. Forecasting Behind-the-Meter Distributed Energy Resources, including hyperlocal irradiance forecasts for utility-scale solar.